Sometimes the changes we experience in life are gradual and almost imperceptible. For example, we may not notice our own aging until we compare photographs taken over several years. Through this perspective of contrast, we can easily note the passing of time and the attendant changes in the subtle transformation that typifies the cyclic nature of life. Other times, life can seem incredibly destructive, resulting in dramatic transformations. Some type of cataclysmic event occurs and afterward our life is fundamentally altered. A loved one dies, we lose a job, we get divorced. These events are discontinuities and are very disruptive. The third way of life change we experience is somewhere in the middle between the gradual and destructive. During this type of evolution, we recognize that we are in the midst of something but most of our life seems to be the same, at least outwardly. We notice that something is different and we may have a vague notion that it is the beginning of the end of the world as we know it. Inwardly we have the awareness of forces affecting us and we feel that we are isolated from the life we know. Something is happening to us and it is of singular impact. It can seem lonely and frightening while being ensconced in this cocoon of change. Once upon a time, a small child came upon a butterfly in its cocoon. The child had recently learned about the caterpillar’s life transition into a butterfly and felt sorry for the little creature trapped in the silky chamber. The child with the best intentions decided to free the butterfly from its cocoon. Unfortunately, the now free butterfly was not able to fly as it had not had the time necessary to develop its wing thanks in part to the resistance of the very cocoon the small child had removed it from. The child’s intervention did not allow the full transformation of the butterfly to occur. If you or a loved one is in the change cocoon, love them while leaving them to undergo their transformations. Have compassion for the situation and trust that the divine forces at work will bring about changes that ultimately reveal the highest form – the highest good. 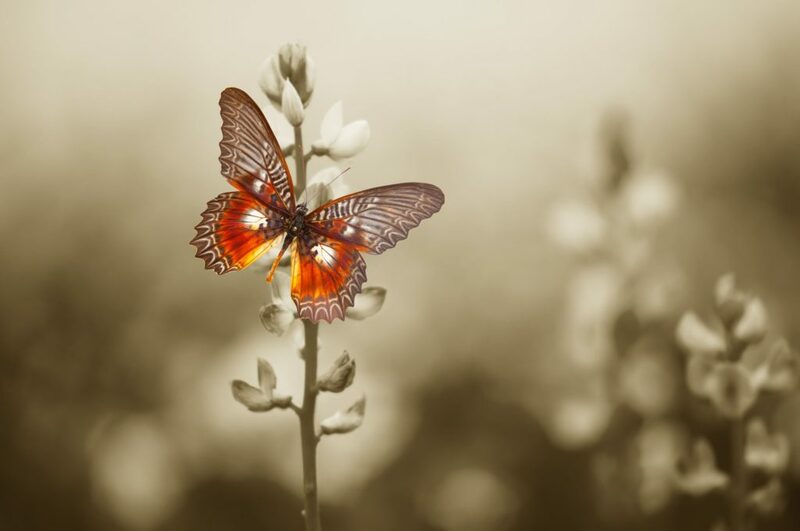 Given time and the right environment, eventually, you, now transformed like the beautiful butterfly, will emerge. In your time, you will spread your wings. While you are in your chamber remember that the world needs this new version of you. And in time we all will be grateful for the metamorphosis. It takes courage to undergo and witness life’s transformative changes. Whether it is you or your loved one, we all at some point will spend some time in the change cocoon. In order to facilitate change, we should strive to be fully present for our selves and our loved ones. Being present, being in the here and now fully, is the cornerstone of optimal experience. I have been studying and practicing ways to encourage more presence in my life – body, mind, and spirit. My next book The Power of Presence – How To Amp-Up Your Life provides a how-to-guide on showing up at your best. If you would like to be part of the Prime Mover Team and get early, free access to the book and related resources before it is released, please sign up here. Join the next energy revolution by becoming a Prime Mover, Julian’s community of people wanting to do more with less.